We realise many of you will be experienced in towing but here’s a reminder of the simple measures you can take to ensure you’re towing safely. Towing as a general term incorporates several different areas: coupling up, attachment, loading, weight, speed and tyres. Before we explore these areas, let’s think about what could happen as a result of bad towing practice. Detachment is probably the most serious consequence of poor towing practice. Losing the caravan from behind your car as you tow will almost certainly lead to an insurance claim being made for substantial damage, and will of course put other drivers in harm’s way. Matching your caravan and tow car is the first step in good towing. Known commonly as ‘coupling up’ it’s the process of ensuring both vehicles counterbalance in weight so that the caravan doesn’t outweigh the tow vehicle. Remember it is against the law to tow a caravan that weighs more than its tow car. The easiest way know whether your tow car is comfortably matched to tow the caravan is to consider the five key weight points: the car’s kerbweight, the car’s towing limit, the car’s Gross Train Weight (GTW), the caravan’s Maximum Technically Permissible Laden Mass (MTPLM) and the combined payload. There’s a full breakdown of definitions and vehicle weights on the Gov.UK website. 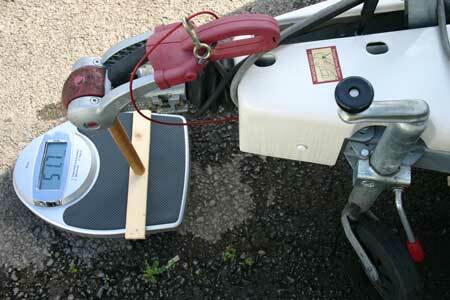 If in doubt, remember you can locate your caravan’s MTPLM and MIRO on the chassis plate. Your caravan’s MTPLM refers to the maximum permissible weight of your caravan when fully loaded so in essence is an indication of how much food, clothes and equipment you can carry inside your caravan whilst towing it. 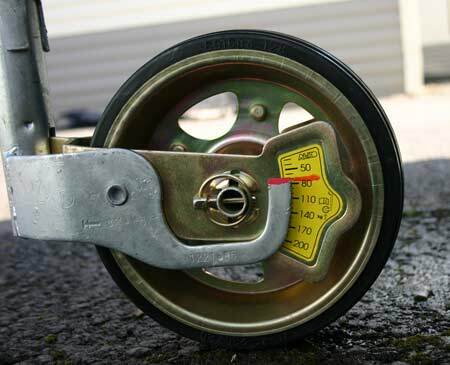 It is recommended that the MPTLM of your chosen caravan should not exceed 85% of your car’s kerb weight. There is an exception to this rule. If your car’s recommended maximum towing weight (i.e. the amount it can pull safely as advised by the car manufacturer) is lower than 85%, you should stick to this lower amount as your upper limit for your loaded caravan’s weight. The best way to weigh your caravan fully loaded as a full unit (including the car’s kerbweight) is to use a weighbridge or a commercial weighing plate. We found this list of public weigbridges. Apple iPhone users can now locate their nearest weighbridge using the Weighbridges UK app from Traffic Media UK click here for details. While it’s difficult to establish a set weight for each journey it’s important to remember that how you load the caravan could have a detrimental effect on towing performance. Overloading a caravan can be very dangerous and in some extreme cases even illegal. Most experienced caravanners will know what noseweight is, but if you’re in any doubt, a recent edition of ‘The Caravan Towing Guide’ from the NCC defines it as: ‘The downforce that the caravan’s coupling head imposes on a car’s towball, measured by a noseweight gauge – it should never be greater than the towbar/ball or hitch limit values, whichever is the lower’. If the caravan noseweight is too heavy the caravan may destabilise when towing. This could put both you and other road users at risk. Find out more on how to prevent jack-knifing or snaking here. Checking the noseweight before you tow is crucial, it’s also worth rechecking before the return journey as any additional items may increase the combined weight of the caravan and tow vehicle. Some caravans are available with optional scales and gauges. 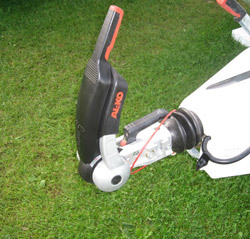 AL-KO, for example, offers a premium jockey wheel with Integrated Wheel Nose Load Display. Read our full report from journalist Doug King on how to measure and adjust caravan noseweight. The DVLA states that you must never use the right-hand lane of a motorway when towing a caravan or trailer. There are rules on what licence holders can and cannot tow, click here to check whether you’re legal to tow. The tow car’s tyres must be capable of carrying the maximum laden weight of the caravan at the maximum speed limit. Anti-snaking snaking devices such as an ATC can also help to reduce risk when towing. Plus these devices come with a 5% Caravan Guard insurance discount. Check out our safety discounts page for details. great reading pleased to see that the caravan community are up on the law of pulling any thing on motorways, as a hgv driver now part time as I am retied I see to often some one pulling a trailer in the 3rd lane just to get past me the lorry is restricted to 56mph so if I am empty I will be pulling up a hill faster than the lorry loaded that I am over taking, a little patience goes a long way and seeing more up front before you get there. Rob. You will find that any goods vehicle weighing more than 3.5 ton is not allowed the the outside lane of a three lane motorway as they are governed to a maximum speed of 56 mph (90 kmph) as set by EU law. I find these Top Tips very interesting & helpful, We all need reminding from time to time but also it helps to see if there have been any changes that we have overlooked. We use Landrover Freelander 2 2007 with a Lunar Quasar 524 / 2007 & find these a joy as the tow car hardly knows the caravan is there & the caravan is light for a 4 berth ( removed bunk bed & fitted light matress for my wife/ now 20 kg lighter. You stated that it is not recommended to tow in 3rd or outside lane where there are more than 3 lanes on a motorway. You are not allowed to tow anything in the right-hand lane of a motorway which has 3 or more lanes in each carriageway. Goods vehicles with a maximum gross weight in excess of 7500kgs are also banned from this lane, as are coaches which have more than 8 seats, apart from the driver’s, and have a maximum gross weight in excess of 7500kgs. My caravan is insured with you but does not have the Atc built-in. My towing vehicle has a built-in trailer anti snaking electronic system which becomes live when a trailer/caravan is being towed – it works in a similar way to the Atc but on the vehicle and is very effective. Not many vehicles have this feature but BMW highlight this in their technical specs and info. Is readily available if you look. Would you consider offering a discount to owners of these vehicles with this safety feature. I’m afraid we wouldn’t be able to offer you a discount on this occasion. The anti-snaking device discount is offered on caravans fitted with either a AL-KO ATC or BPW iDC only. I will certainly look into this to see whether it’s something we’re looking to introduce in the future. Apologies I can’t be of more help. Useful and informative article on safer towing . This is a cracking little read and look forward to each issue, it’s free and I find it better than most Caravan mags for sale, We all should now the safety precautions when caravaning but it’s also nice to be reminded, only been caravaning for 18 months, the wife,kids and I haven’t looked back. Just purchased a 2013 Sprtie Musketeer TD SR. Roll on the weekend. Very worthwhile and informative. Thank you. Glad you found this useful John! I was under the impression that under the Highway Code, you are not allowed to travel in the right hand lane of a three lane motorway when towing a trailer. Your article suggests that it is at the drivers discretion which is probably untrue. Thanks for getting in touch and for pointing out the error in the article. I’ll correct this now.